The Charleston and Port Royal collection features a roomy wide arms and an open weave back and sides. 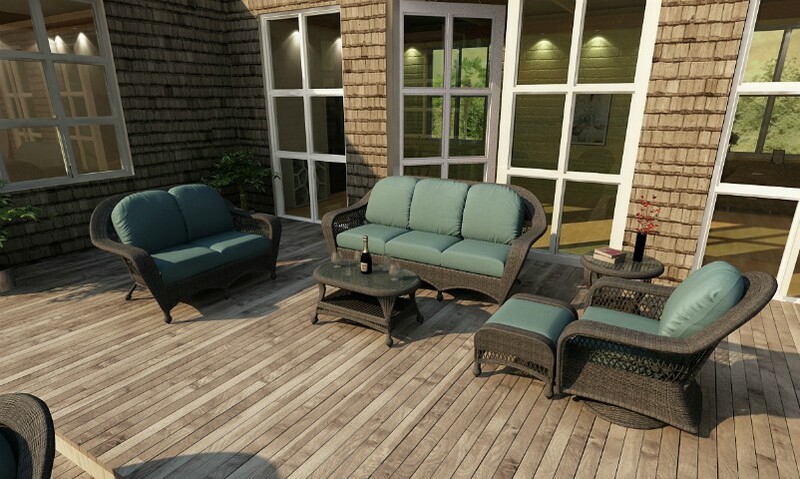 Relax in the deep seating comfort of this popular collection that can be used indoors or outdoors. This has been our most popular collection since 2004. This collection features rust free aluminum frames, UV resistant resin wicker and suspension seating. What separates Wicker Imports from everyone else is that we make our own cushions to offer more fabric options and ensure quality. Includes sofa, loveseat, chair, ottoman, end table and coffee table.